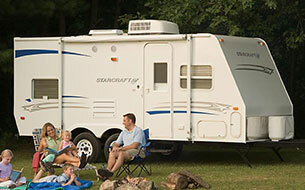 Coastal RV Rentals is not associated with RVshare. 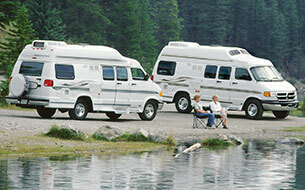 This page is simply a resource, providing more information on all RV rental options, including Coastal RV Rentals. From the rolling prairies to the majestic desert vistas, whoever said, “Everything’s bigger in Texas,” was definitely on to something. Yes, there are plenty of things to love about the Lone Star State, especially for travelers. In fact, Texas ranks among the top 10 most visited destinations in the U.S., welcoming close to 1.2 million tourists per year on average. And with over 100 state and national state parks to explore, it’s easy to see why Texas continues to lure RVers who looking for some Southern history and adventure. Whether it’s walking along the Rio Grande in Big Bend National Park, marveling at Palo Duro Canyon, affectionately nicknamed "Texas’ Grand Canyon," or getting in lost in one of the state’s famous historic ghost towns, Texas has plenty of reasons that make it a mecca for RV travel. What’s even better, starting your RV trip in Texas makes it easier to explore surrounding states like New Mexico, home of the Chihuahuan Desert and the Sangre de Cristo Mountains, as well as the capital city of Santa Fe, founded in 1610, and known for its beautiful Spanish colonial architecture. From Texas, you can also venture to Louisiana, famous for its many colonial forts, plantations, churches, cemeteries, and of course, the New Orleans jazz scene. You also won’t want to miss taking a journey through El Camino Real de Los Tejas, a 300-year-old Louisiana and Texas frontier settlement that originally extended all the way to Mexico City. Are you ready to visit the Lone Star State on your next RV trip? Companies like Coastal RV Rentals in Dickinson, TX, can help get you on your way. Located just minutes from the metropolitan areas of Houston, The Woodlands, and Sugarland, Coastal RV Rentals offers a full range of recreational vehicles, including Class C and Class A motorhomes, and travel trailers.Whether you’re looking to rent your next camper for a few days or a few weeks, Coastal RV Rentals in Dickinson, TX, has the RV you need at the most affordable rates. A 2014 Green Wolf trailer with outdoor awning, for example, is available for just $160 per day or $850 per week at Coastal RV Rentals. This 30-ft. RV sleeps up to 10 passengers and includes a slide out for extra living space. For a bit of added luxury, a 2015 Fleetwood Storm might be the perfect option. 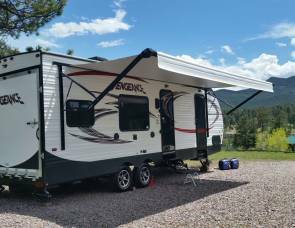 This RV offers a rear bedroom, full kitchen, bathroom, and plenty of storage. With enough room for up to six passengers, it also features two slide outs to create a large living area with all the creature comforts of home. It's available for $300 per day or $1800 per week. Feeling the vintage RV vibes? You may want to snag a 2015 “Retro” Ultra Light trailer that sleeps 2-3 passengers. It’s a perfect option for an adventurous couple or solo traveler. 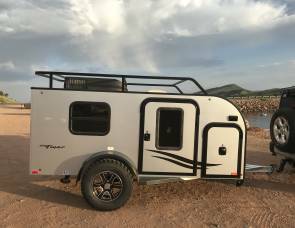 Meanwhile, first-time RVers might feel most comfortable in an easy-to-maneuver 2006 Shasta Trailblazer, available for $250 per day or $1,500 per week. 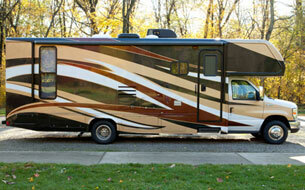 Coastal RV Rentals guarantees the most competitive prices in the entire Houston area. 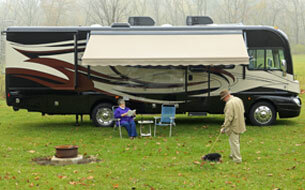 In fact, if you find a better deal anywhere else, Coastal RV Rentals will match the price. They also offer special discounts like a “Buy 3 Days, Get 1 Free” deal, and military discounts for our troops, police officers and firefighters. With convenient hours and operating 7 days a week (Saturdays by appointment), reserving a motorhome from Coastal RV Rental is also a breeze. 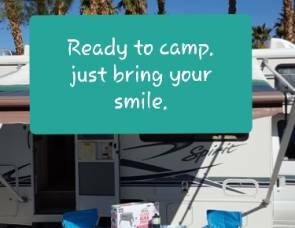 Simply call Coastal RV Rentals directly or fill out an online contact form with your travel dates and the type of RV you’re looking for. A knowledgeable staff member will be ready to assist in no time. Are you a first-time RVer who's not sure how to get started? Don’t worry. 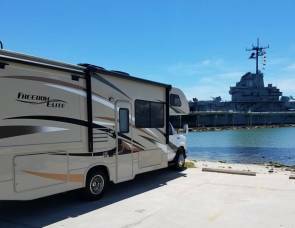 The team at Coastal RV Rentals knows their stuff! They’ll be happy to help answer all your questions -- from the minimum age to rent an RV to what type of RV insurance you need on the road. It’s no wonder why so many RVers love Coastal RV Rentals. The company has an impressive 4.6 out of 5-star rating on Facebook with over 1,100 fans. Facebook is also the best place to find out about the company's many promotions available throughout the year. Coastal RV Rentals is located at 1414 Highway 146 N in Dickinson, TX. Hours are Monday-Friday, 9 a.m. to 5 p.m. and Sunday, 12-4 p.m.
For more information, call (281) 866-1506 or visit clearlakervrentals.com. 2017 Intec Flyer Max Off Road Camping Trailer LIght!